Here you will find medical experts in clinics and medical practices in the medical field Nutritional Medicine. All listed physicians are specialists in their field and have been carefully selected for you according to strict guidelines. In the search for specialists in nutritional medicine you will find medical experts for treatment and therapy in the speciality of nutritional medicine. You are obese or suffer from food intolerance, a food allergy or digestive problems and need an experienced nutritionist? Here you will find selected specialists in the field of nutritional medicine. A specialist in nutritional medicine works with the prevention, detection and treatment of obesity and overweight as well as nutrition-related diseases, such as food intolerance, food allergies or digestive problems. For example, specialists in nutritional medicine establish individual nutritional concepts with the goal of weight loss in a patient or serve for special nutrition in patients with carcinoma or nutrition-related diseases. Specialists in nutritional medicine also have knowledge of diagnostic procedures that allows them to recognise nutritionally related diseases. This includes, among other things, ultrasound examinations to identify organ damage along with obesity or blood studies to identify hormonal disorders or food intolerances and allergies. 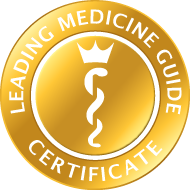 To become a specialist in nutritional medicine, a physician must complete advanced training. The therapeutic range of services of nutritional medicine includes, in particular, weight reduction therapy for overweight and morbid obesity, dietary changes by way of differentiated blood studies for digestive problems, nutritional adaptation therapy for food allergies and nutritional medicine related to carcinoma.